This is a really good question and, while there’s no right or wrong answer, the experience we’ve gathered from creating over 2,500 explainer videos has given us some insight into what tends to work best. 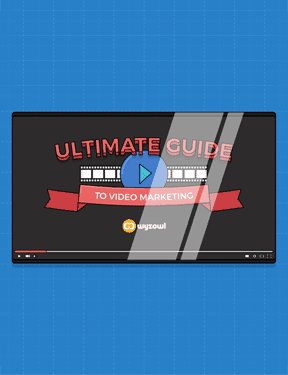 Ultimately it depends on how you’re planning to use your video. If you’re running a video ad – for example, to run before a YouTube clip – then you’ll generally have to limit your video to a specific length, usually 15 or 30 seconds. Apple’s App Preview videos, similarly, need to be 30 seconds long. Explainer videos, designed to sit on your website and give complete strangers an overview of your product or service, can be longer than this, but we recommend a length of between 1 and 2 minutes. Generally ‘less is more.’ Your video should be as short as it possibly can be, while enticing the viewer to take the next step you’d like them to take. Our advice is that your explainer video should always be the hook rather than the manual. In some circumstances where you have an opted-in audience – staff training, product demos or events, for example – your video can be even longer than this. These often work well around the 3-4 minute mark – long enough to be comprehensive, without sacrificing viewer attention. We’ve made videos spanning from 15 seconds all the way up to 10 minutes and, in theory, there’s no reason your video couldn’t be even longer than this. But it’s important to put yourself in your viewer’s shoes. Your primary goals are a) to get your viewer to the end of the video, b) have them understand the points you’ve made and c) get them to complete your intended action – whether it’s heading elsewhere on your website to find out more, calling your sales team, starting a free trial or signing up for your e-mails. The old saying goes, ‘2 out of 3 ain’t bad’ but only 3 out of 3 will get you the chocolates when it comes to video marketing. So keep it short, keep it sweet, keep it simple and always have your viewer in mind!